It is said that Sir Isaac Newton was inspired by a falling apple, and while apocryphal, the story says something about the historic connection between scholarly inquiry and this ubiquitous fruity orb. 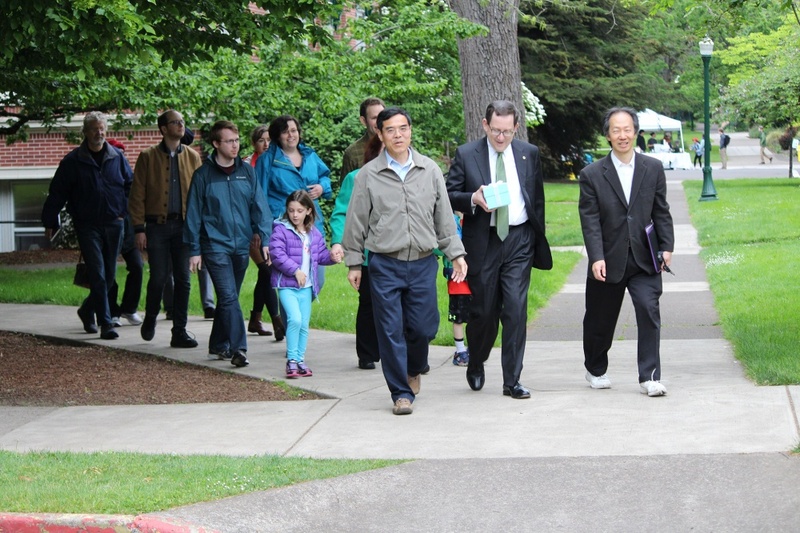 In that light, it is perhaps understandable that the University of Oregon would use the apple as the symbol for honoring its best teachers. 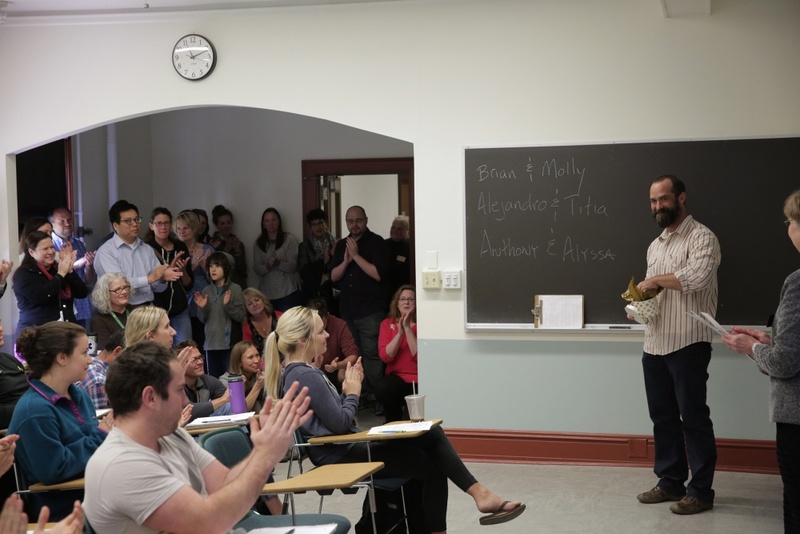 It is in the form of an apple — either crystal or myrtlewood — that the UO presents its annual Distinguished Teaching Awards each spring. Regardless of their form, the awards have deep roots at the UO. 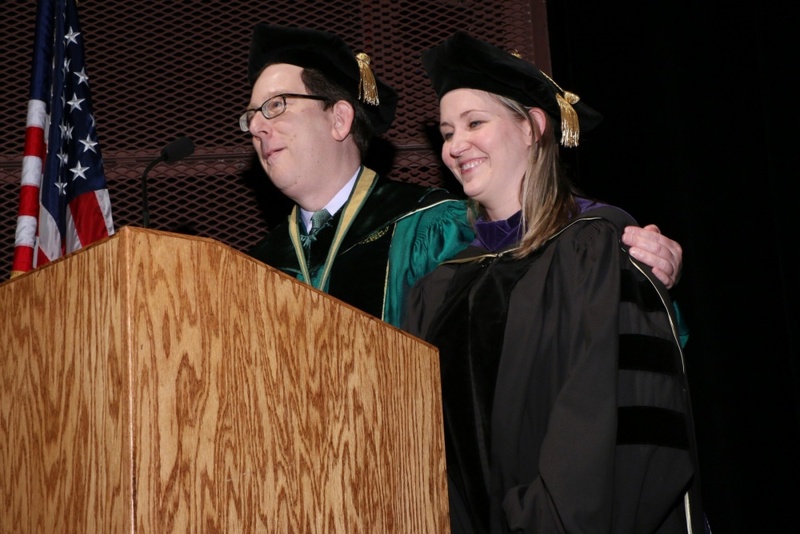 They recognize faculty members for their excellence at one of the university’s fundamental pursuits, the passing of knowledge to new generations. 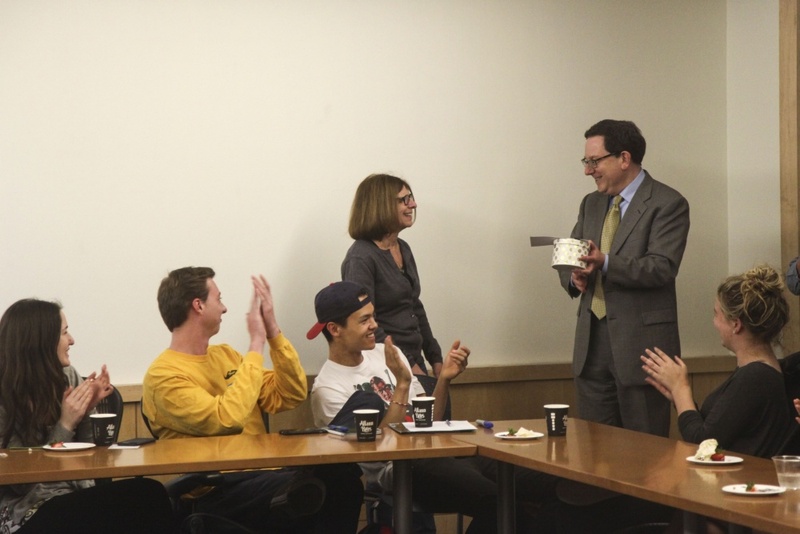 The Ersted Award for Distinguished Teaching recognizes excellence in teaching by faculty members early in their careers, and has been awarded since 1957. 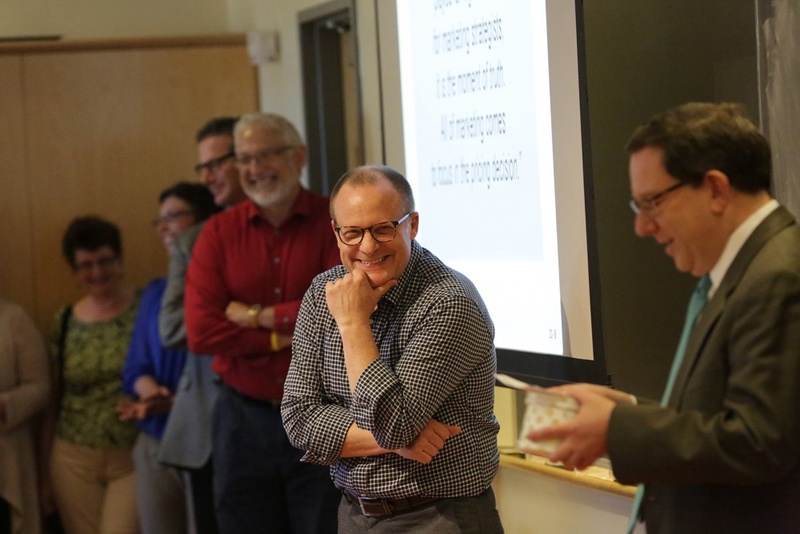 The new Ersted Award for Specialized Pedagogy recognizes faculty members early in their careers who have demonstrated exceptional abilities to induce students to reason and who have expertise in a particular area of teaching. 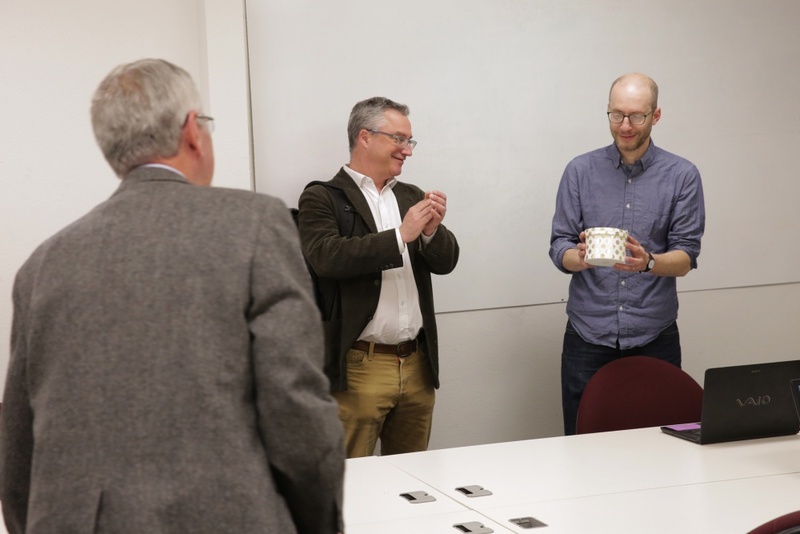 The Thomas F. Herman Faculty Achievement Award for Distinguished Teaching, first awarded in 1985, is given to more senior faculty members who have demonstrated long-standing excellence in teaching at the university. 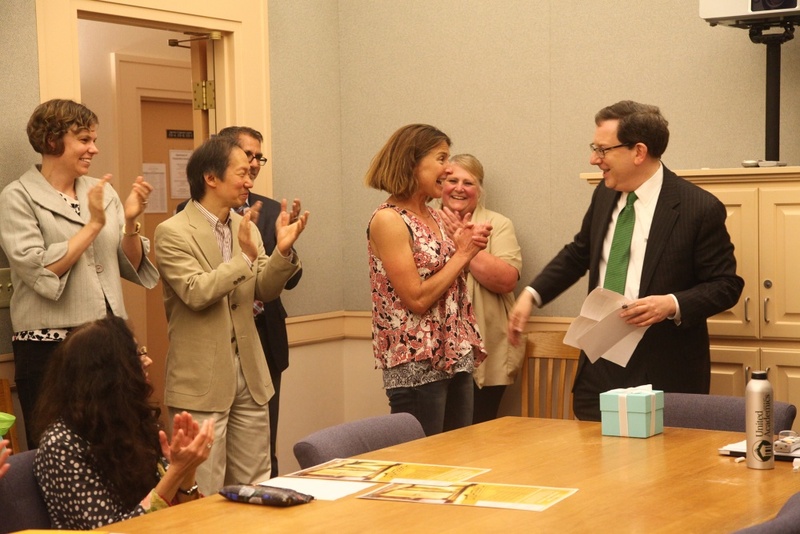 The Herman Award for Excellence in Pedagogy honors senior faculty members for outstanding achievement in a focused area of teaching. 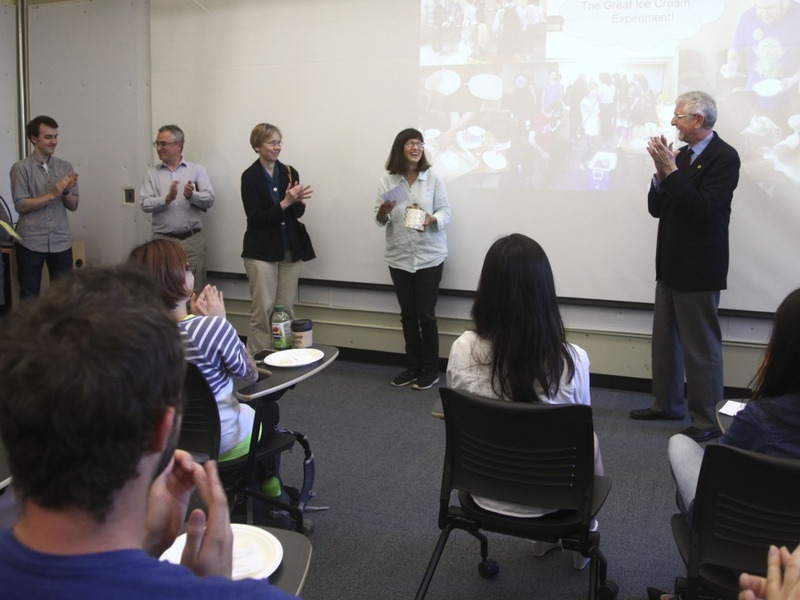 Award nominations come from faculty, students, and staff. 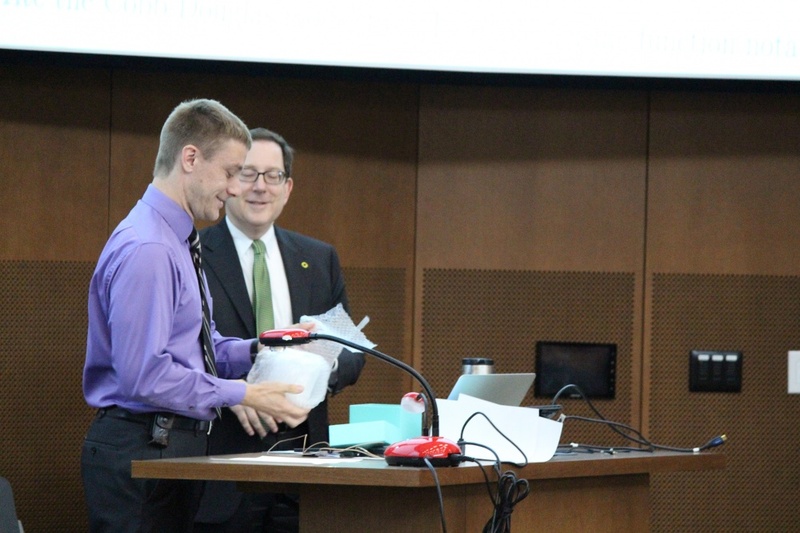 Recipients are selected by a committee largely made up of faculty who have previously won an award. 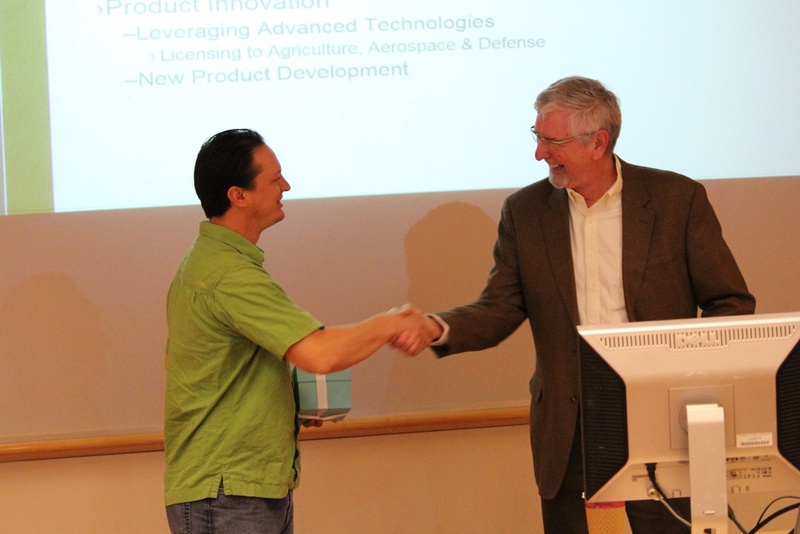 Each faculty recipient receives a certificate and a monetary award. Winners of the Ersted Award for Distinguished Teaching and the Thomas F. Herman Faculty Achievement Award for Distinguished Teaching receive a crystal apple as a symbol of teaching excellence, and recipients of the Ersted Award for Specialized Pedagogy and the Thomas F. Herman Award for Excellence in Pedagogy receive a handcarved myrtlewood apple.